Greater Greater Washington is a community-driven media site and advocacy organization that builds communities to discuss and advocate around urbanism in the Washington, DC metro area. We write about the many forces influencing our region and how those relate to the built environment, especially around transportation and housing/land use, and also including politics, history, environmental sustainability, and more. In 2008, David Alpert started a blog to generate conversation about how decisions were made about the development he was seeing across the city and region. The community of readers and writers grew, and in 2011 a small group of committed volunteer writers formed an Editorial Board to help edit the growing number of volunteer contributions, provide strategic guidance, and create opportunities for this growing community to connect in person. In 2015 a serendipitous connection to the Open Philanthropy Project created an opportunity for GGWash to grow. Through a multi-year grant from the Open Philanthropy Project, GGWash has been able to invest in its organizational capacity and launch an advocacy program focused on housing affordability and equitable development. What began as a completely volunteer project has grown into a community-driven nonprofit organization with four full-time staff, more than 150 volunteers, and a community of readers and commenters who number around 140,000 every month — all committed to creating a growing and inclusive Washington region. You can see our current contributing writers here. Our goal is to help readers — urbanist wonks and non-experts alike — understand the geographic, economic, political, and social forces affecting the built environment around the Washington region. That means we publish posts that are both incisive and approachable and grounded in a focus on urbanism. Where the above definition says “cities,” GGWash defines that broadly to include the entire metro region, and in particular “walkable urban places” in DC, Maryland, and Virginia, which we believe should be strengthened and expanded, and new ones created. 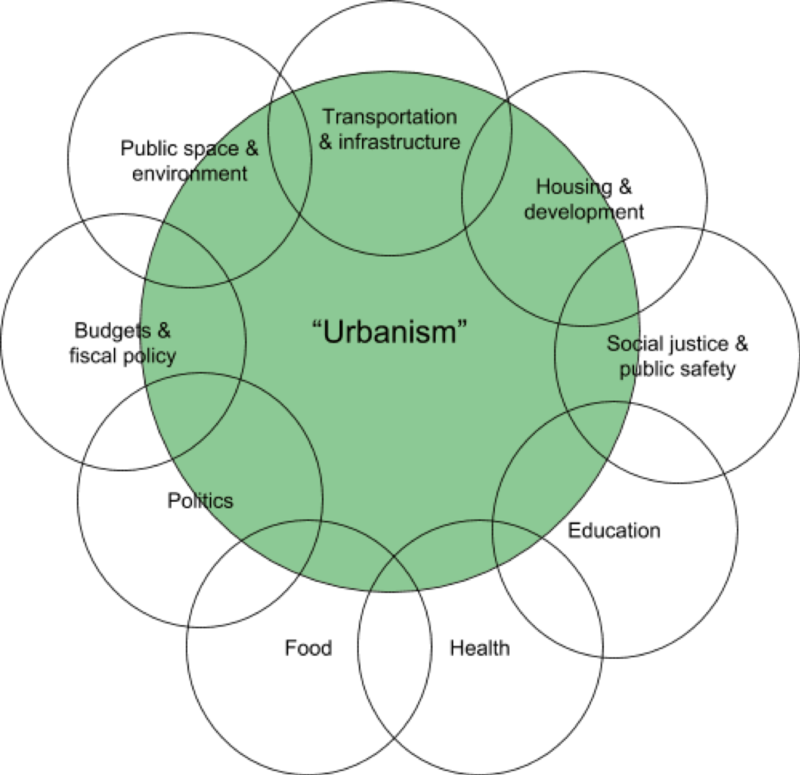 Urbanism is not binary, but a continuum. Some places are very urban, while others with many suburban characteristics nevertheless are trying to attain some qualities of urbanism, such as walkability or multi-family housing. While we’re mostly volunteer-run, we’re aiming to publish more breaking news stories and conduct more original reporting — particularly as local news outlets around us struggle to do more with less. We also want to write more explainers to help readers contextualize current events, as well as humor and satire pieces. We’d love to have you! You can find more about the criteria for our posts and the writing process here. We also offer workshops for new and veteran contributors on a quarterly basis in order to boost our writers’ reporting skills. If you’re interested in attending one, keep an eye out for them to be announced in our calendar of events. Have a question that isn’t answered here? Email info@ggwash.org. GGWash takes journalistic integrity and accuracy very seriously. Right now, most of our posts are written by volunteer contributors, not by professional journalists. As such, we cannot guarantee that they cover every facet of an issue and cannot commit to soliciting input from representatives of any organizations we talk about in a post. However, we do our best ensure that everything that goes onto the site is accurate, fair, and approachable. Each piece that goes on the site is edited for clarity, accuracy, and style by our Lead Editor, who in turn relies on our network of journalism and urbanism experts for particularly sticky and specialized questions. Every news post must also pass a final “gut check” review by our Editorial Board before publication to ensure its accuracy, fairness, inclusiveness, accessibility, etc. Below are some of the types of posts we publish on ggwash.org and our criteria. Since we aim to educate before we persuade, most of the posts we publish fall in the “News & Analysis” category. GGWash is a 501(c)4 organization, which means we occasionally take political stances and advocate for certain urbanist issues and candidates for elected office. Here’s what political activity is permitted. All endorsements are decided by our volunteer Elections Committee. The Board of Directors, Editorial Board, and other volunteer committees can give input on endorsement decisions but do not determine them. If you would like to request a correction or have a question about one of our posts, please email info@ggwash.org.